Boil and drain noodles. Sauté bell pepper, celery, onion, and garlic in the butter. Add the crawfish. Stir in only 2/3 of the pint of Half 'n Half milk and the Kraft cheese. Cook on low until all cheese is melted. Butter a 2 1/2 qt. 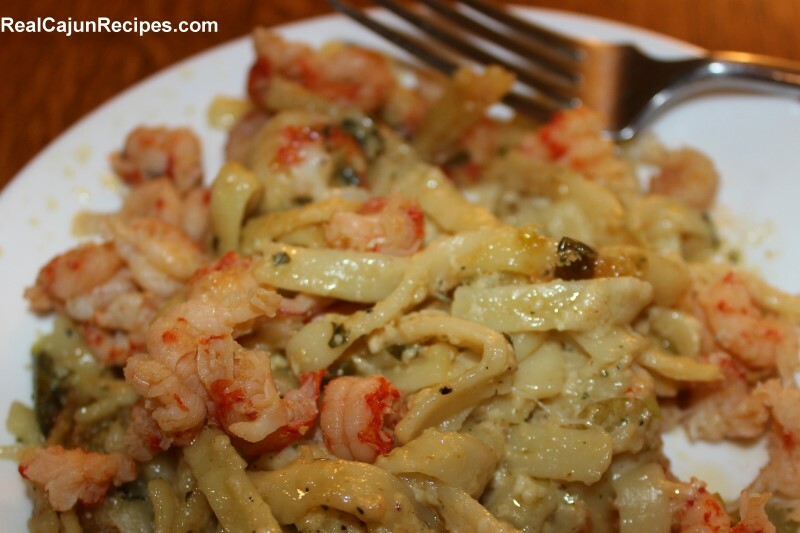 casserole dish and add noodles, top with crawfish mixture. Add to the top the shredded Mozzarella cheese and then pour the remaining half 'n half. Bake at 350 until the cheese is browned. A meal by itself with salad and bread.